It is said that when Catherine of Braganza arrived from Portugal to marry Charles II in 1662, she brought with her a casket of tea. Since the Portuguese had been importing tea to Europe from the beginning of the seventeenth century, Catherine had grown up drinking tea as the preferred everyday beverage. 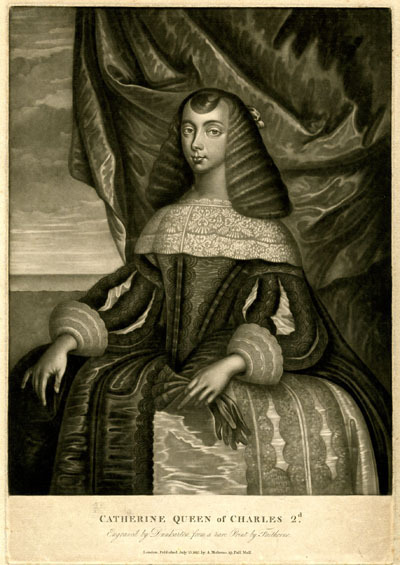 Catherine of Braganza (age 22), the Portuguese princess who set the fashion for tea drinking in England, married Charles II in 1662. 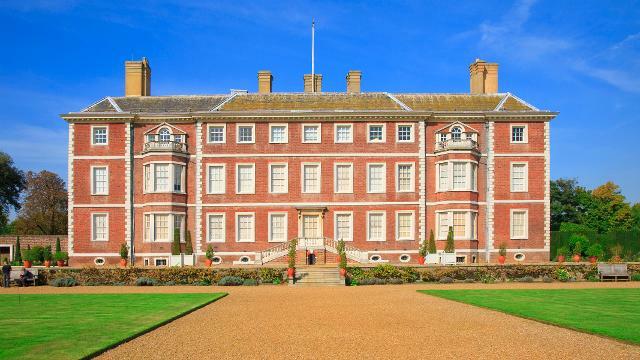 When tea was consumed in such a grand setting, it was generally in the company of female friends within a bedchamber or closet (a small room for entertaining guests near the bedchamber). The tea itself and the delicate pieces of porcelain for brewing and drinking it were displayed in the closet. Inventories for wealthy households during the seventeenth and eighteenth centuries list tea equipage not in kitchens or dining rooms, but in these small private closets or boudoirs. By 1679, the Duchess’s “white closet,” a small room close to her bedchamber where she received visitors, contained a Japan box for sweetmeat and tea and a heavily carved and gilded tea table where the Duchess brewed tea with water from her silver “Indian furnace [urn]” and served it to her close friends. Return to tea blog article list.